Society at large tends to misunderstand what safety is all about. It is not just the absence of harm. When nothing bad happens over a period of time, how do you know you are safe? In reality, safety is what you and your people do moment by moment, day by day to protect assets from harm and to control the hazards inherent in your operations. This is the purpose of risk-based thinking, the key element of the six building blocks of Human and Organizational Performance (H&OP). Generally, H&OP provides a risk-based approach to managing human performance in operations. 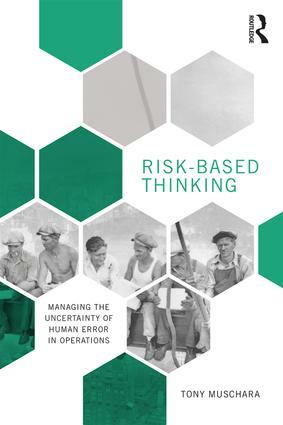 But, specifically, risk-based thinking enables foresight and flexibility—even when surprised—to do what is necessary to protect assets from harm but also achieve mission success despite ongoing stresses or shocks to the operation. Although you cannot prepare for every adverse scenario, you can be ready for almost anything. When risk-based thinking is integrated into the DNA of an organization’s way of doing business, people will be ready for most unexpected situations. Eventually, safety becomes a core value, not a priority to be negotiated with others depending on circumstances. This book provides a coherent perspective on what executives and line managers within operational environments need to focus on to efficiently and effectively control, learn, and adapt.